After taking an information superhighway and hypertext markup language class at Santa Fe Community College in Gainesville, Florida in 1996 I headed out to create websites in Honduras with a fellow UF Engineering student. The plan was to make cold calls during the day and code by night. Several clients were landed to include Dole, Hertz, La Quinta Inn, DHL but more importantly it provided the financial resources to travel the country. Among the visited locations were Tegucigalpa, Copan, San Pedro, Tela, La Ceiba and finally Roatan. During that life changing visit I first learned about scuba diving. After the summer business venture and graduating from the University of Florida with continued studies at Clemson led to a Master’s in Human Resource Development. The web publishing experience and passion for technology landed me a job at Clemson University with the Department of Information and Computer Technology, DCIT. After several years and right after 911 I joined the US Army. After an honorable discharge the call to scuba diving took hold. The pursuit of a career in scuba diving occurred at Coconut Tree Divers where the PADI Open Water Diver, Advanced Open Water Diver, Emergency First Response, Rescue Diver and Divemaster courses were completed. At the time Coconut Tree Divers was not the Instructor Development Center it is today. It was Utila bound to complete the IDC being held at Utila Dive Center. Upon completion of the course I was offered a job by my dive mentor, PJ at Coconut Tree Divers. Nine years later I was managing the shop. Looking through their first hundred reviews on TripAdvisor you will find responses written by -marco, that’s me. After the ninth year I was offered to start up a new shop as a 1/3 partner. As someone who believed in a handshake the venture was begun. Three years later I found myself ousted from the very thing I had developed, a private and personal approach to scuba diving in the bay islands. There are plenty of operators going after the back packer market, I wanted the folks who wanted more from their vacation. The goal was to create the Apple Computer experience of the dive world. Interestingly enough, Steve Jobs was fired from Apple by John Sculley. Today, I have moved back to the United States so my four year old son can receive an outstanding education and participate in organized sports. Having established and developed solid relationships with specific dive shop owners and dozens of superstar dive instructors I will now help facilitate amazing scuba diving vacations via that same Information Superhighway which essentially is responsible for all this. It is a free service to you, the scuba diver. If you would like some assistance with your scuba diving adventure, send me an email and I will sort out your accommodations, dive experience, all of it really. We are proud supporters of the Marine Park and sell the $10 dollar marine park tag to our guests. The contribution goes a long way towards paying for moorings, community outreach programs, pays for the daily and nightly patrols in addition to other conservation efforts they maintain. 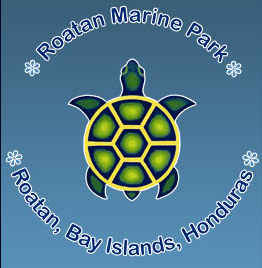 Contact the Roatan Marine Park to find out other ways of supporting their conservation efforts and how you can name your very own dive-site. Excellent experience. We had 5 Guys chilling in our group. Our group of 5 Guys travel all over the Caribbean Sea in search of the best diving, best dive shop, and best dive master/crew. We found a gem of a place here in Roatan at Quality Time Divers. They were over-the-top on their service. I would definitely come back and definitely recommend Quality Time Divers. Marco is a excellent dive master. Equipment is well taken care of giving you that peace of mind. Marco himself is relaxed and fun while you also feel he is always watching and in control. Overall a great experience I highly recommend Quality Time Divers.